Yamaha WorldSBK team-mates Alex Lowes and Michel van der Mark have taken the manufacturer’s fourth straight Suzuka Eight-Hours win which was also the Derbyshire man’s victory hat-trick after winning for the past two years. Yamaha, who ran without the injured Kats Nakasuga after he was injured in a crash, had a near-faultless race and crossed the line with a 31-second advantage over the Red Bull Honda team after a late splash and dash, with Team Green Kawasaki in third place. Jonathan Rea and Leon Haslam did all but one of the stints for Kawasaki but running out of fuel just after half distance and then a low-speed crash from Rea at Spoon Curve put paid to any chance of the win. 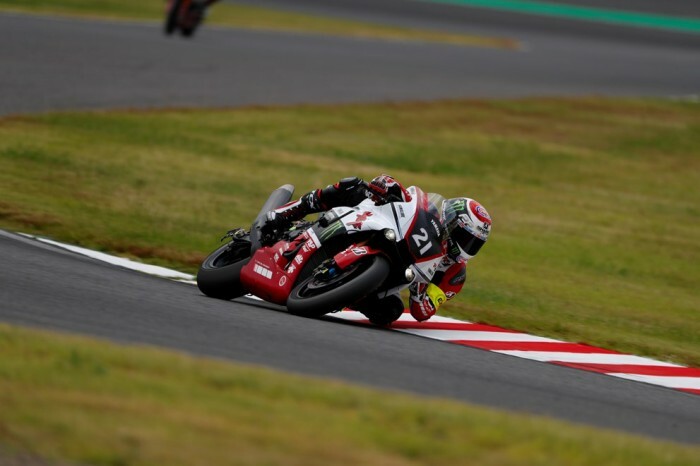 Tommy Bridewell’s S-Pulse Dream Suzuki took fourth place as the factory Yoshimura squad were out out of contention when Sylvain Guintoli got tangled up with a slower rider early doors. They recovered to tenth place at the flag with Bradley Ray given the honour of crossing the line. The race was delayed due the appearance of a typhoon overnight and intermittent rain and various crashes, including one from Randy De Puniet, meant the safety car was deployed for more than an hour and marshals had to deal with an extensive oil spill from Spoon to 130R with three hours left to run. FCC TSR finished in fifth place and were crowned the World Endurance Champions. Title rivals GMT 94 Yamaha were one place further back. Honda Asia, with Australian Troy Herfoss, took seventh place with Ryuichi Kiyonari’s Moriwaki team in eighth while the factory Honda Endurance team, based in Louth, finished just head of Ray. Michael Laverty and Christian Iddon ended in 15th place and the YART team were put out earlier on after a crash bent their R1’s swingarm.